Time Trial: The time trial starts at the base of Grandad’s Bluff and climbs to the top, with a rolling section after the climbing is done. If you do it right, this is the hardest short effort you’ll do all year and you’ll be clinging to life after the finish line. I felt I did it right, improving by two seconds over last year and finishing second. Tip: go to Belgianwerkx and get a Giant TCR if you want to fly uphill. Road Race: The road race is over the border in Minnesota and involves multiple laps of a 13.6 mile loop. There is a little bit of everything on the loop-a good hill, a 50+mph downhill, and plenty of exposed flat sections. 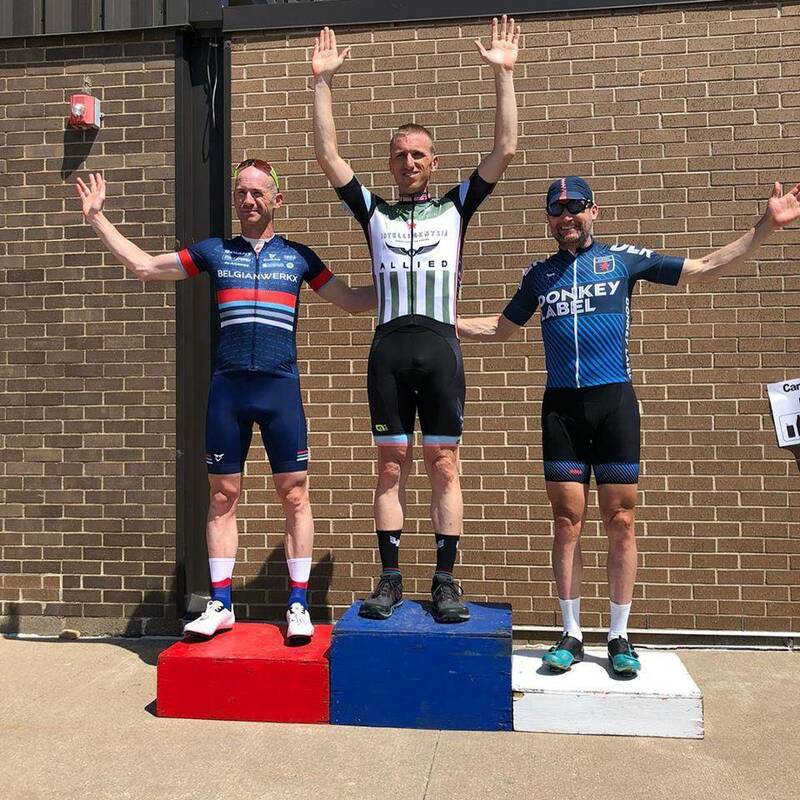 The battle for first in the Masters race ended the second time up the hill when Jadon Jaeger danced away like Contador and left the field to battle for second. A couple bold solo attacks stuck on the last lap and the field was left to sprint for the minor places. I had a decent sprint for seventh overall. Criterium: The criterium is a standard four-corner course along the Mississippi River downtown. It’s a scenic place for a race and is always populated by a good mix of bike racers watching other bike racers and casual passers-by looking on with curiosity. After a flurry of early attacks in the Masters race, a three-man break finally got away-I missed it-and the rest of the race was a steady, fast, unsuccessful chase. I was able to sprint for second in the field, which was good for fifth in the race. The combination of my three decent finishes was good enough for third place overall in the omnium. More importantly, I had a lot of fun and enjoyed both the competition in the races and also the in-between times hanging with friends. La Crosse didn’t disappoint, and I’m already looking forward to next year. If you haven’t done the Omnium, you really need to.